My second novel, MOONSTRUCK, went in and out of print long before the days of this blog. Way before Kindle, too. I'm delighted to report that MOONSTRUCK is available once more, in a classy trade paperback format and now also for the Kindle. That's the new cover on the left of your screen. 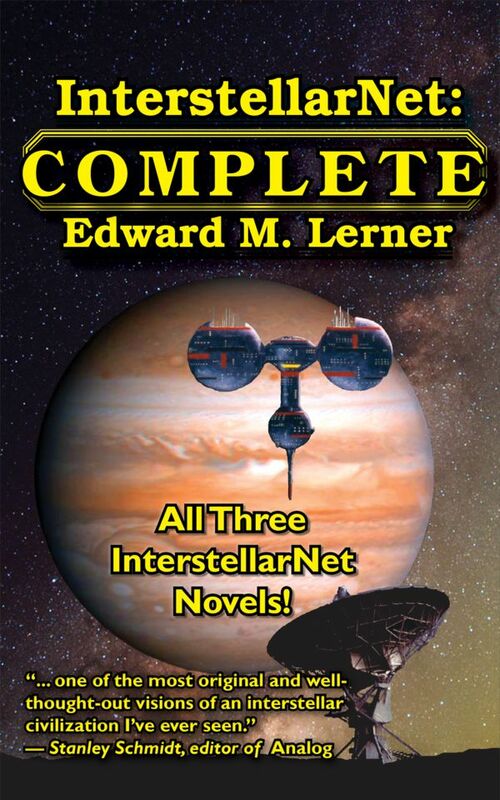 "Take one part Tom Clancy, one part Hal Clement, and one part Larry Niven, shake well, and you've got Edward Lerner's edge-of-your-seat day-after-tomorrow just-what-ARE-the-aliens up to thriller, MOONSTRUCK. It's a rollicking good read, in which the puzzles all go snick-snick at just the right moment, and the suspense never lets up. Highly recommended." 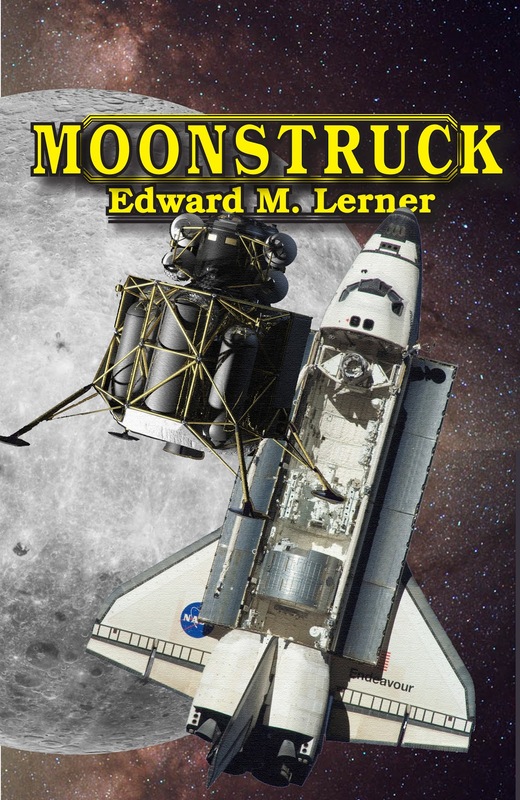 "In his novel Moonstruck, physicist Edward M. Lerner operates proudly in the classic hard-SF tradition of ... Robert A. Heinlein." "Moonstruck is a rapid fire technothriller that puts fresh thrills into the first contact tale. Fast, original, and will keep you guessing to the very last page. Curious? Check out a sample of MOONSTRUCK or go to the Amazon page (book or Kindle ) for more editorial and reader reviews. 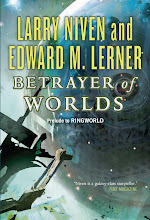 And (barring surprises) coming up in a month or two ... the re-release of my long out-of-print first novel. 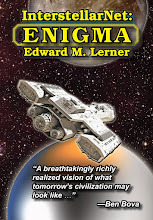 Look for another update post when PROBE is re-released for its twentieth anniversary.